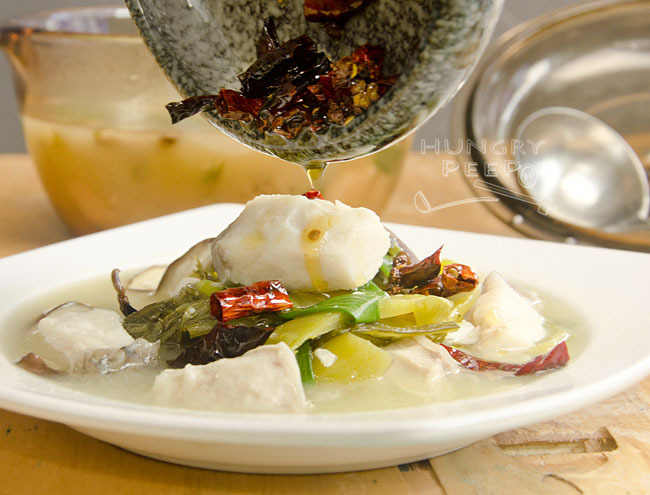 Marinate threadfin with 1/2 tsp salt, cornstarch and white pepper. Set aside. Heat 2 tbsp oil in wok. Fry garlic, ginger, green onions and sichuan peppercorn seeds till fragrant. Add in pickled mustard greens. Stir for 1min. Add water and shiitake mushrooms. Simmer 20min. Bring to a boil. Add fish slices and cook 1min. Season with 1 tsp salt and more if necessary. Scoop out ingredients into serving bowls. Pour in soup. In a separate pan, heat 2 tbsp oil with dried red chillies till hot. 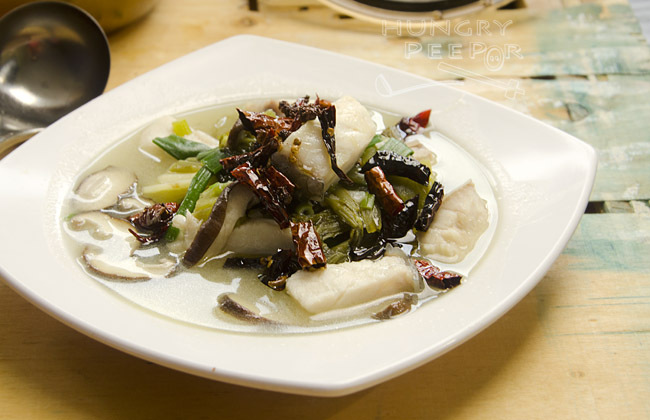 Pour sizzling oil onto fish soup. Garnish with remaining green onions to serve. 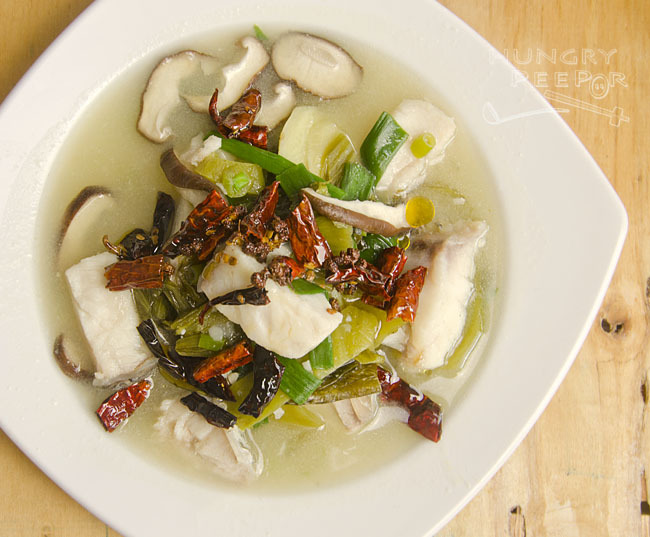 This entry was posted in Chinese, Seafood and tagged Chilli, Fish, Peppercorn, Sichuan, Stew, Stir-fry. Bookmark the permalink.